Whales, Bears, and Hot Springs are all possible (seasonally) in one amazing tour! Hot Springs Cove is an exciting 6 hour adventure where our captains make an effort to find wildlife including whales, black bears, seals, sea lions, puffins, sea otters, bald eagles (aerie too) and over 20 miles of gorgeous coastline and beaches. Our hot springs tours are offered year round (weather permitting). Although we can't guarantee wildlife sightings on this adventure, you have an excellent chance to see a lot of different wildlife. 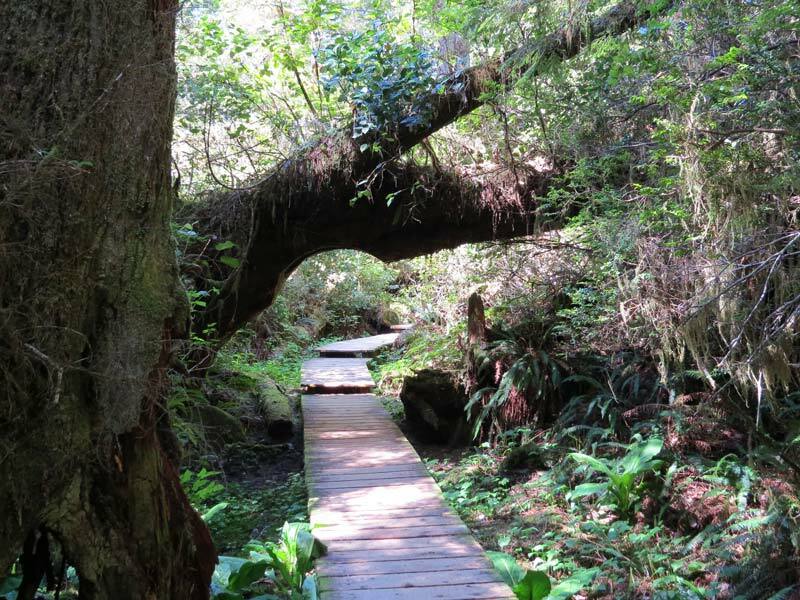 Once disembarking at the dock in Hot Springs Cove, you will follow the historic cedar boardwalk through an enchanting rain forest (1.5 km). 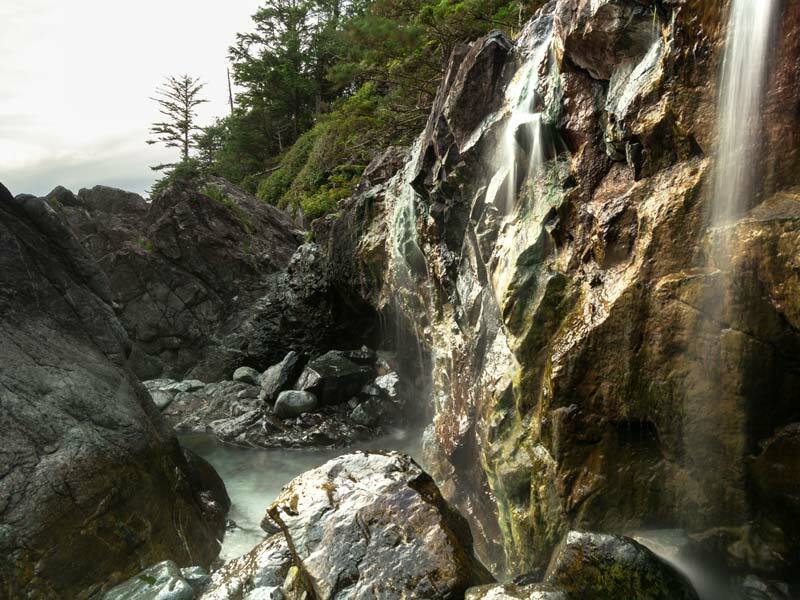 At the end of this incredible walk lies a succession of natural geothermal hot spring pools, a cascading waterfall and a stunning view of the mighty pacific ocean – an amazing day trip for all ages! *One free infant per departure (covered vessel). First-come, first-serve. *You may notice that departure times vary slightly from what is listed below depending on tides & daylight. *Winter Hot Springs Cove Tours are scheduled aboard our covered cabin-style vessels, but zodiacs are available upon request. Check out our float plane option for this tour! Take a guided boat trip up and fly back on a float plane from Hot Springs Cove. This program is called Sea 2 Sky! Get a bird's eye view of Clayoqout Sound's incredible wilderness! Hot Springs Cove is a remote Provincial Park. There is no fresh water, no services other than out houses and the closest medical center is in Tofino. The water is hot (average 50 degrees Celsius) and it is important to monitor your time in them so that you do not become overwhelmed by the heat or become dehydrated. The trail to the springs and the wet rocks can be very slippery. We recommend water shoes for in the pools. You must be fairly agile to walk the trail to the Hot Springs and to gain access to the natural pools. There are few hand rails along the boardwalk, but the trail and rocks can be very slippery. 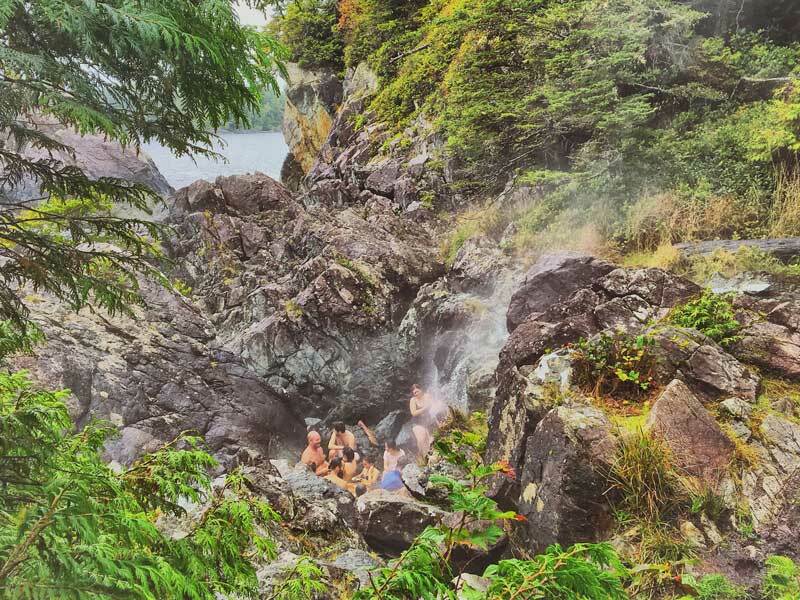 Do you want your own private Hot Springs Cove tour? Looking for a shorter tour to go on in our winter months (Nov. 1 - Mar. 1)?